You will notice two symbols within your painting. One is the cross and the other the spiral. The cross is letting you know that you are at a cross roads in your life right now. You are done being a child and it is time to step into your power as woman. The spiral represents the path to power. How you find your personal power is by going into the center of your being and listening to your intuition. 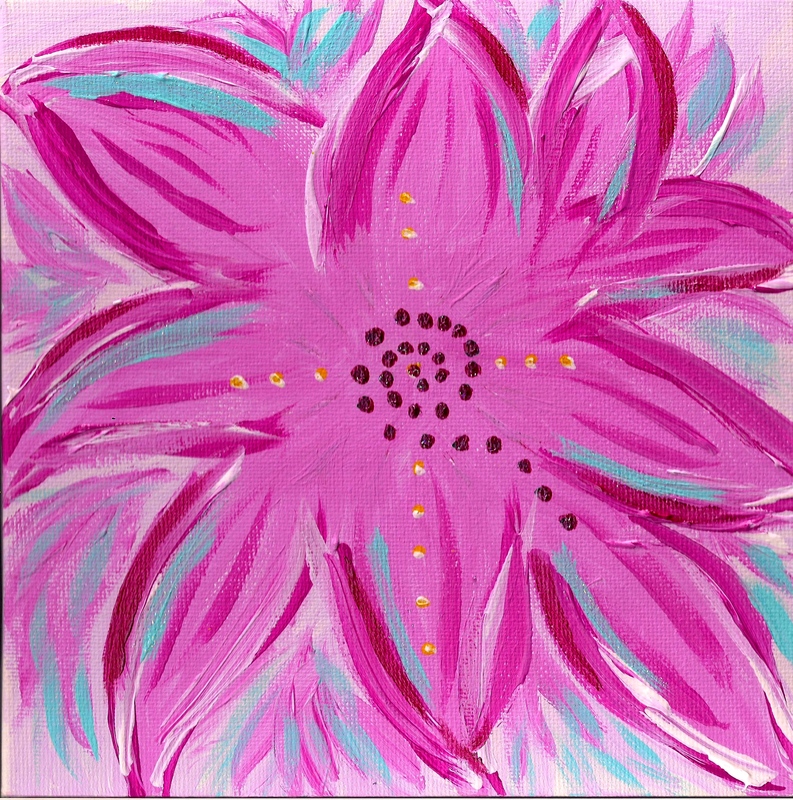 The flower in this painting is your intuition. It is blooming, letting you know that it is always “open” for you. You have a lot of creative energy that desires to be expressed. You have many different outlets to choose from whether that be the arts, music or gardening. Creative expression will always be a healthy outlet for you if you allow it to be so. Write, paint, act or simply howl at the moon. Let that creativity be your guide to a balanced life. A Soul Colors Portrait is a personal maṇḍala for your use as a tool for transformation When we meditate on our Soul or High Self we become more aligned with our Divine Purpose Each portrait is painted in acrylic and measures 8″ x 8″. Della tunes into your soul and paints from that space. She then receives a written message from Guidance about the meaning of the painting. Each painting is unique and is used here with the clients permission. Click here to find out how to get your own Soul Colors Portrait.